Take Your Company to the Next Level – ECAO Offers Two Great Courses to Show You How! Dr. Awad Hanna, leading construction industry researcher, will be providing two seminars for ECAO members in May. The goal of this seminar is to help contractors develop a formal pre-construction planning process that extends through the three project stages: bidding, pre-construction and project execution. The seminar includes major principles for successful implementation of pre-construction planning. Contractors will be presented with a comprehensive set of more than 70 preconstruction activities that can be tailored to fit all project sizes and risks. Cost for each seminar is $525 tax included. 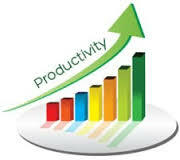 Seminars run from 8:30 a.m. to 4 p.m. Lunch will be provided. Space is limited, so register today by emailing ecao@ecao.org. Visit ECAO website for more information. The Ontario College of Trades (OCOT) has completed a public consultation process and is drafting a new description of a concept called risk of harm, which will measure both day-to-day and systematic risk to workers employed in construction trades. The Ontario legislature passed amendments to the Ontario College of Trades and Apprenticeship Act, 2009 on Dec. 8, 2016, which are based on a 2015 report by Tony Dean entitled Supporting a Strong and Sustainable Ontario College of Trades. The Ministry of Labour (MOL) accepted the recommendations of the Dean report and OCOT was given 180 days (until June 6, 2017) to develop and post a comprehensive compliance and enforcement policy. The committee consulted members, the public and stakeholders through a series of town hall meetings in Sudbury, Ottawa and London, and held a day-and-a-half of hearings in Toronto and has now begun drafting the policy and is on track to meet the legislative timelines prescribed through Bill 70. ECAO made a presentation to the committee in Toronto expressing concerns over the definition of risk of harm and strongly urging that the final definition should ensure that the trades aren’t splintered, that any compliance and enforcement policy is created with a true understanding of risk of harm, and which puts public and worker safety at the forefront. OCOT is not speculating or revealing what the final document will contain until it is released to the public in June. Ontario’s building trade unions met for four days in March and April to discuss some of their differences concerning the enforcement of the Ontario College of Trades and Apprenticeship Act (“OCTAA”). Trade unions attending the talks included those opposed to the Bill 70 amendments (such as the IBEW, Ontario Pipes Trade Council, and Ontario Sheet Metal Workers Conference) and those in support (such as the Labourers International Union North America and the Carpenters’ union). The talks were facilitated by George Adams, a former Justice of the Ontario Superior Court and former Chair of the Ontario Labour Relations Board. In the end, all parties in attendance agreed to a Memorandum of Advice to be presented to the Minister of Labour and the College of Trades. Click here for more details on the talks. ECAO and IBEW CCO sponsored the Electronic Album of the Year at the 2017 JUNO awards in Ottawa. This was a great opportunity to spread the word to music industry giants and the general public about the value of electricians. Best of all, this is just the start of a campaign to help the public - and the politicians they vote into office - understand the importance of safe, quality electrical work to all aspects of our lives. For more information on the Juno Awards evening and the upcoming campaign visit the IBEW CCO website. 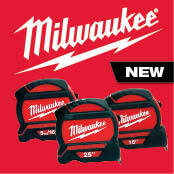 Milwaukee just launched its wide blade tape measures exclusively available in Canada and is giving away a chance to win a lifetime supply of Milwaukee measuring tools. Click here to enter the contest today! 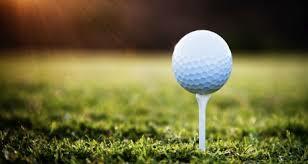 Join friends, colleagues and industry partners for a great day of golf at the 12th Annual ECAO/IBEW Golf Tournament on Wednesday, June 14, 2017 at the Royal Ontario Golf Club.. Contact Michelle at michelle_esposito@ibewcco.org to register today! Registration form and payment must be received no later than May 16, 2017. With the Skills Ontario Competition just weeks away, 500 students competed at eight Ontario colleges in qualifying competitions for the 2017 Skills Ontario Competition. Students representing the top three school boards in each contest at each of the eight qualifiers will advance to the Skills Ontario Competition, taking place May 1 to 3 at the Toronto Congress Centre where students will compete for gold, silver and bronze medals, as well as monetary awards and job offers for select contests. Gold medallists are also eligible to go on to represent Ontario at the Skills Canada National Competition, May 31 to June 4 in Winnipeg. A full list of winners can be found at www.skillsontario.com. April 28th is the National Day of Mourning. A day to remember and honour those workers who have died, been injured or suffered illness in the workplace. It is also a day to renew our commitment to the promotion of healthy and safe workplaces and the prevention of future fatalities. 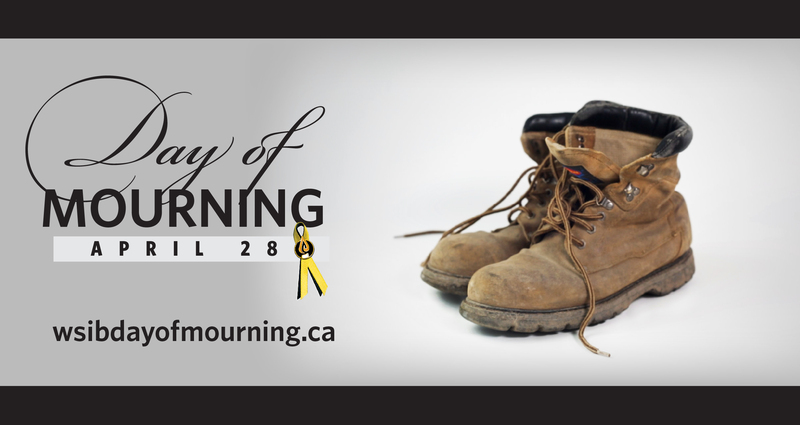 You can write a tribute to a fallen worker at www.wsibdayofmourning.ca or click here for a list of ceremonies in your area. Ontario’s Chief Prevention Officer George Gritziotis has released his annual report highlighting significant improvements in workplace safety in the past year. Lost-time injury claims were down 5.1 per cent since 2006 and 3.9 per cent since 2014 and traumatic fatalities were down 11.1 per cent in 2015 from the year before. Ministry stats revealed workplace enforcement efforts rose significantly in 2015-2016. Field visits were up 5.9 per cent from the year before, workplace visits rose five per cent and there were 127,088 orders for non-compliance — down 3.1 per cent from 2014. Visit the Ministry’s website to read the full report. Prime Minister Justin Trudeau announced a federal commitment to spend more than $1.8 billion on the GO Transit Regional Express Rail (RER) project in the Greater Golden Horseshoe Area March 31. The support was referenced in the 2017 federal budget and will be provided through the New Building Canada Fund. GO RER will deliver fast, electric trains as frequently as 15 minutes in both directions, serving communities in the GTHA and beyond, including the Waterloo Region and Barrie. There has been a lot of buzz lately about the upcoming legislation that will legalize recreational marijuana use in Canada by July 2018. For employers and stakeholders in the construction industry it's not the possible legalization that's the problem, it's how they are supposed to balance workplace safety versus human rights as well as judge impairment with a drug that is difficult to measure. Concerned groups met and decided to send a letter to various federal and provincial government ministers calling for several measures to be put in place either before or at the same time the legislation is introduced. The measures include, identification of a national cut-off level similar to the "over .08" offence for alcohol with an acceptable roadside and workplace testing protocol; workplace alcohol and drug testing regulations that permit employers to test employees on a pre-employment, post-incident, reasonable cause and random basis; and clear and balanced rules setting out an employer's duty to accommodate employees who are under the influence of alcohol or drugs while at work and who suffer from substance abuse dependency. The R. H. (Hugh) Carroll Award pays tribute to member contractors who best exemplify the dedication and commitment to safety in the electrical contracting industry as exhibited by R. H. (Hugh) Carroll through his years of service. Provincial - ECAO encourages you to visit this website and in just a few easy steps let your MPP know that you want prompt payment in Ontario. Please share http://www.pushpolitics.ca/clients/ppo/ with your staff, suppliers, friends and family. Contact your MPP today! 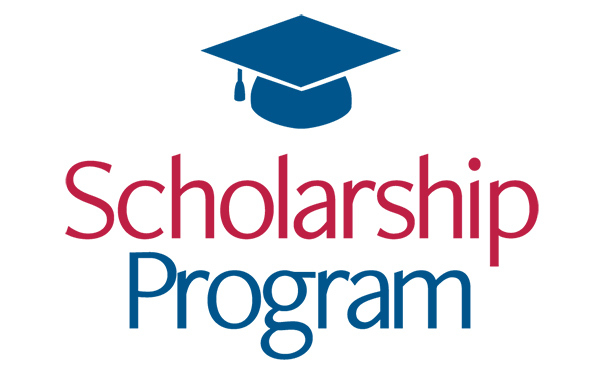 Federal - You can also help move prompt payment legislation forward federally. The National Trade Contractors Coalition of Canada has started a campaign to get prompt payment passed nationally. Simply go to this website and submit your support. Let your Member of Parliament know you want prompt payment passed federally.